Whoa, what a Wednesday to have! 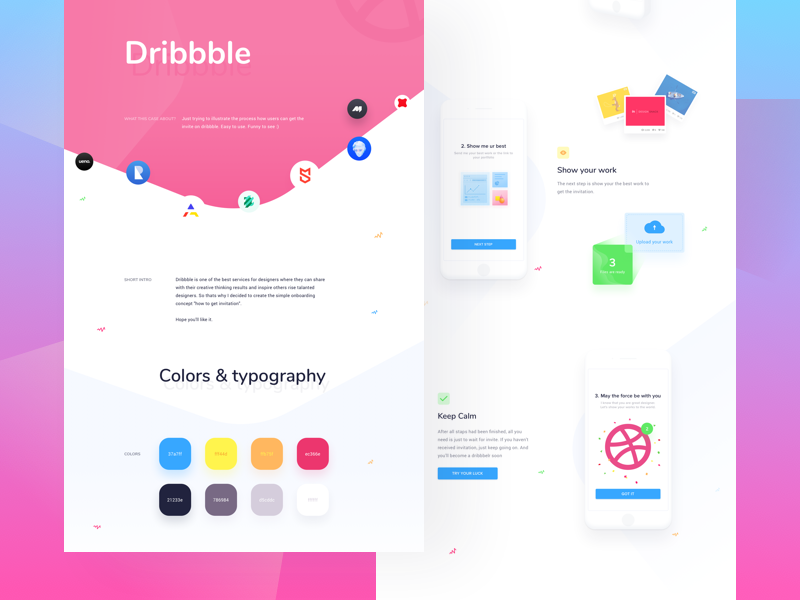 Here is a visual representation of an idea that has been on my mind for quite a while – an invite tutorial for our beloved Dribbble! While making it I payed a special attention to the color scheme and tried to make it fresh, empathetic and approachable!